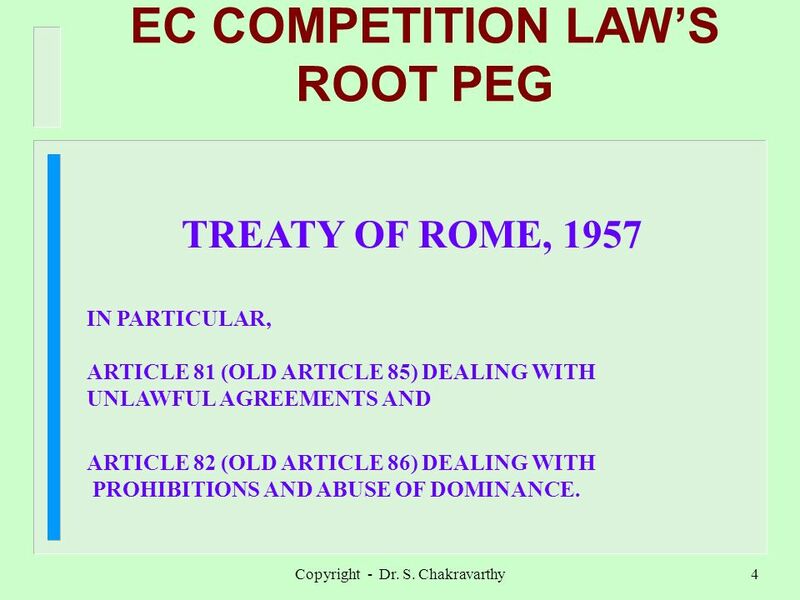 5 Copyright - Dr. S. Chakravarthy4 EC COMPETITION LAWS ROOT PEG TREATY OF ROME, 1957 IN PARTICULAR, ARTICLE 81 (OLD ARTICLE 85) DEALING WITH UNLAWFUL AGREEMENTS AND ARTICLE 82 (OLD ARTICLE 86) DEALING WITH PROHIBITIONS AND ABUSE OF DOMINANCE. 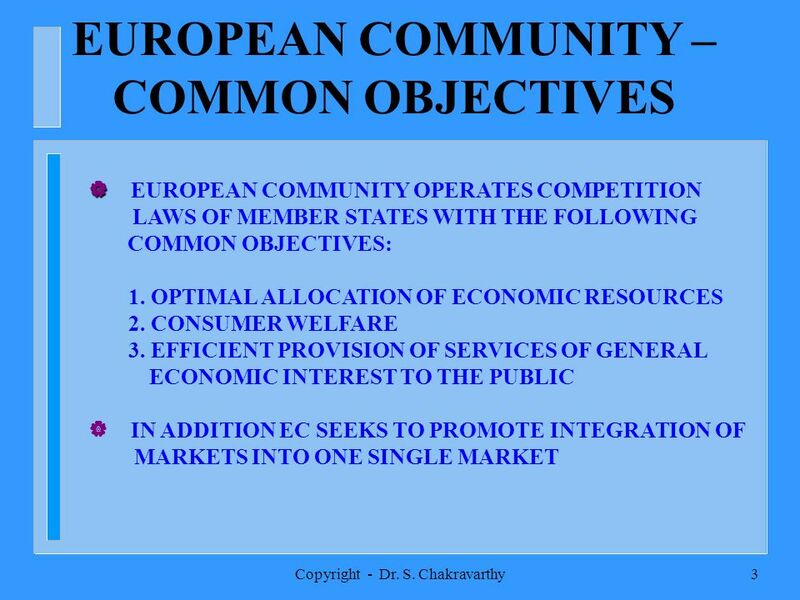 10 Copyright - Dr. S. Chakravarthy9 EUROPEAN COMMISSION IN THE EU, THE EUROPEAN COMMISSION IS THE PRIMARY COMPETITION ENFORCEMENT AGENCY. 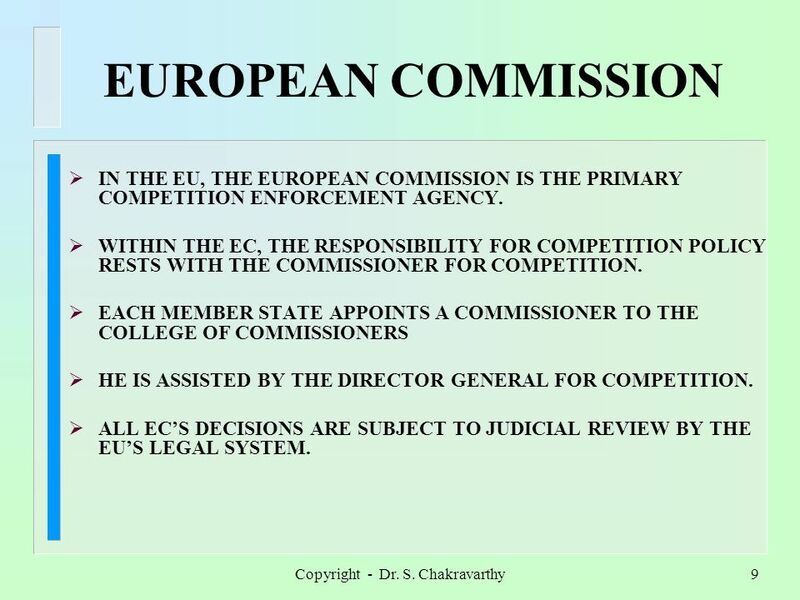 WITHIN THE EC, THE RESPONSIBILITY FOR COMPETITION POLICY RESTS WITH THE COMMISSIONER FOR COMPETITION. 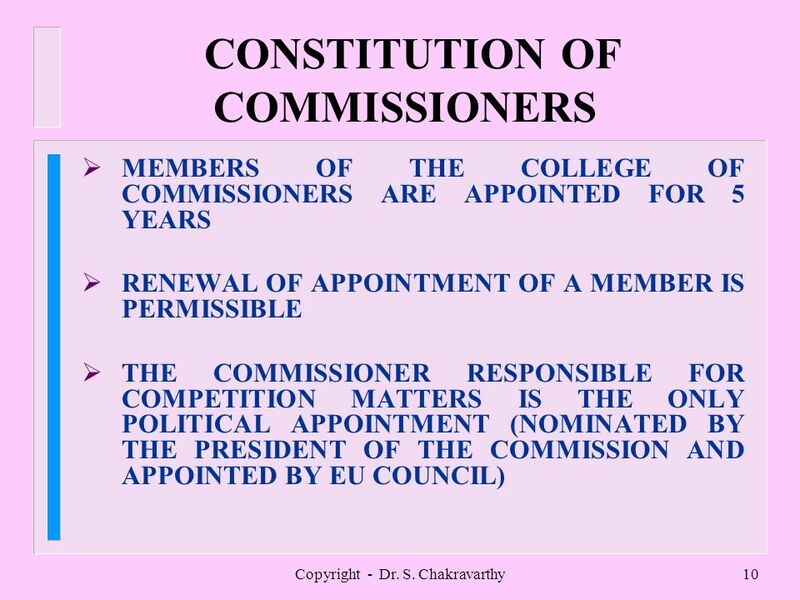 EACH MEMBER STATE APPOINTS A COMMISSIONER TO THE COLLEGE OF COMMISSIONERS HE IS ASSISTED BY THE DIRECTOR GENERAL FOR COMPETITION. 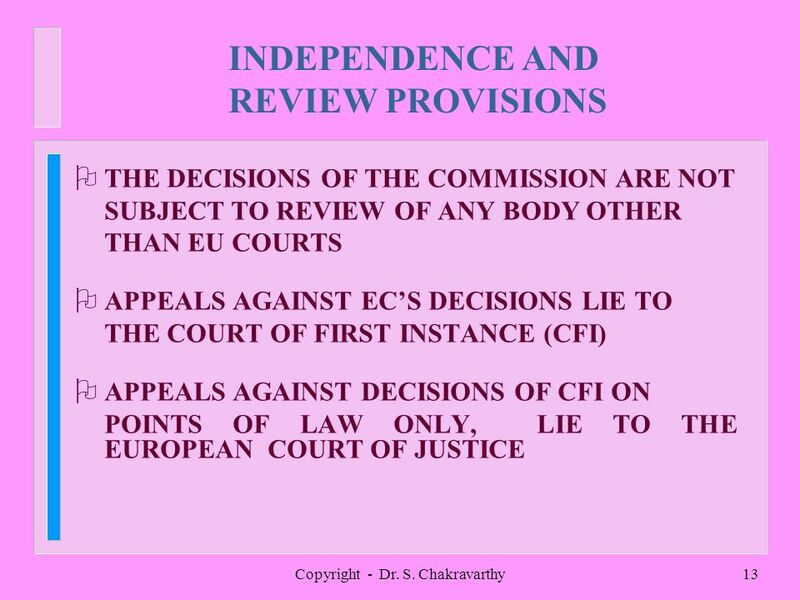 ALL ECS DECISIONS ARE SUBJECT TO JUDICIAL REVIEW BY THE EUS LEGAL SYSTEM. 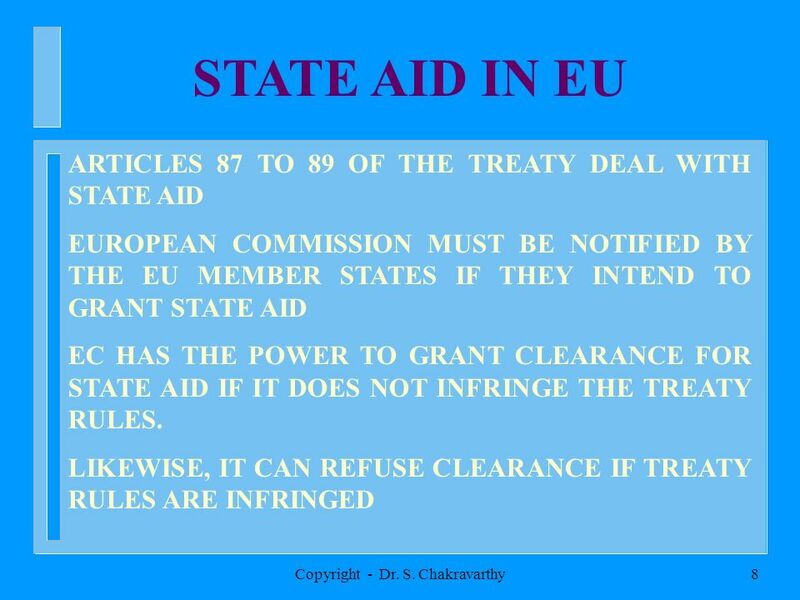 Download ppt "GREETINGS TO CHARTERED ACCOUNTANTS FOR ICAIS POST QUALIFICATION COURSE VIDEO CONFERENCE FROM HYDERABAD 26 AUGUST 2005." 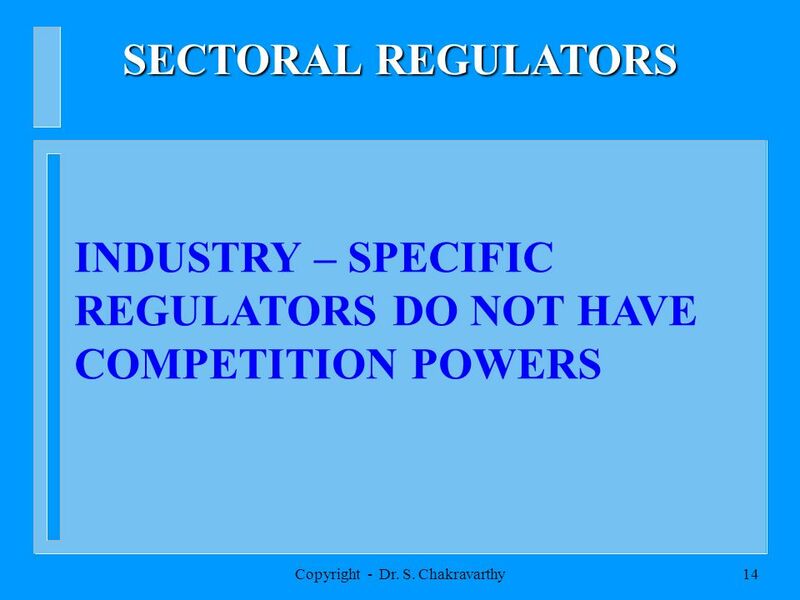 Copyright - Dr. S. Chakravarthy1 GREETINGS TO CHARTERED ACCOUNTANTS FOR ICAIS POST QUALIFICATION COURSE VIDEO CONFERENCE FROM HYDERABAD 25 AUGUST 2005. 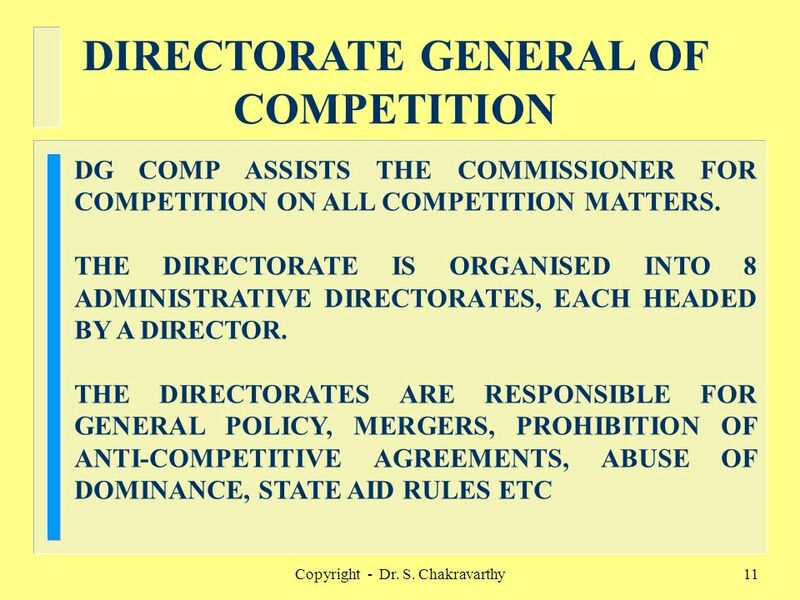 Copyright - Dr. S. Chakravarthy1 GREETINGS TO CHARTERED ACCOUNTANTS FOR ICAIS POST QUALIFICATION COURSE VIDEO CONFERENCE FROM HYDERABAD 31 AUGUST 2005. 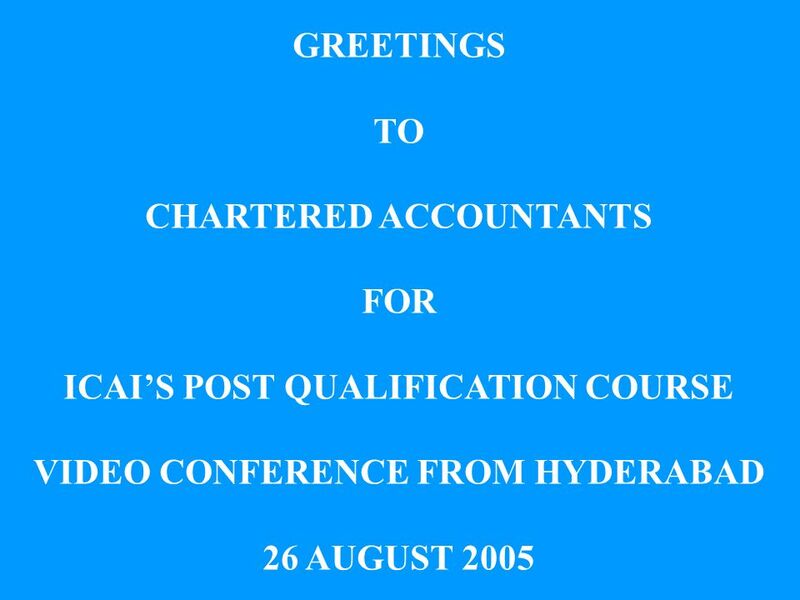 GREETINGS TO CHARTERED ACCOUNTANTS FOR ICAIS POST QUALIFICATION COURSE VIDEO CONFERENCE FROM HYDERABAD 31 AUGUST 2005. 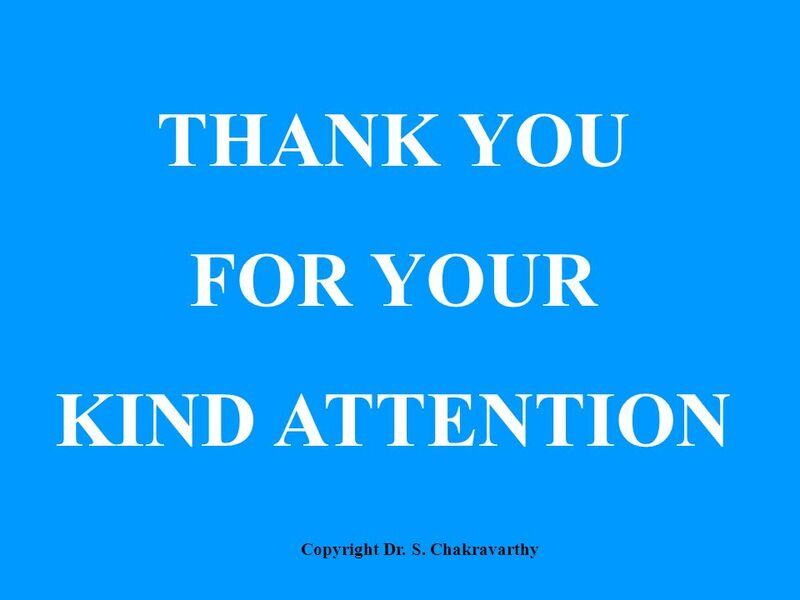 1 GREETINGS TO CHARTERED ACCOUNTANTS FOR ICAIS POST QUALIFICATION COURSE VIDEO CONFERENCE FROM HYDERABAD 25 AUGUST 2005. 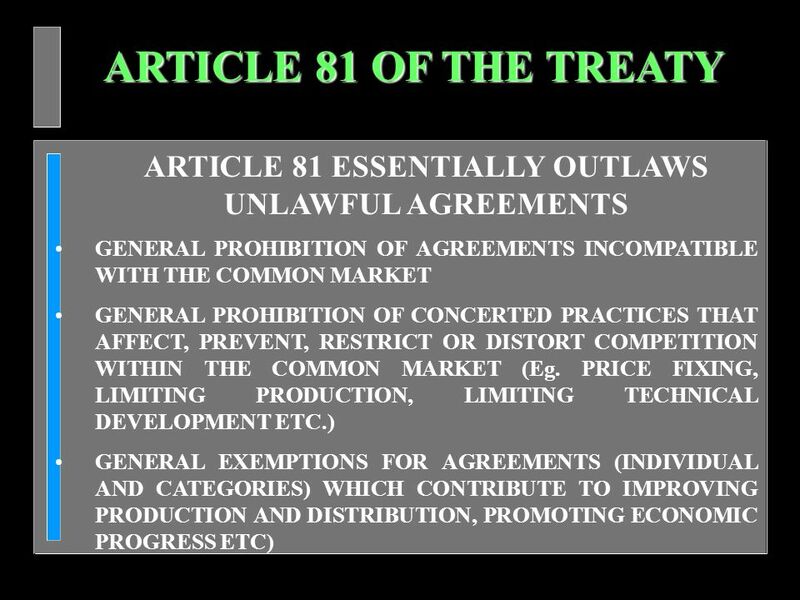 The State & EU Competition rules Professor Dr. juris Erling Hjelmeng Department of Private Law, UiO. 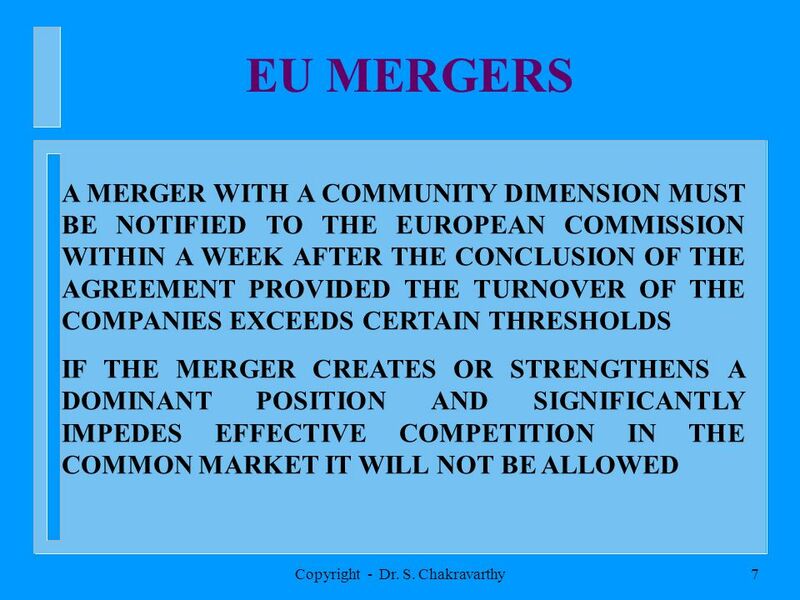 Baker & McKenzie – CIS, Limited is a member firm of Baker & McKenzie International, a Swiss Verein with member law firms around the world. In accordance. European legal update IGCE, November 5th 2006, Dublin Evelyn Heffermehl ULYS law firm. 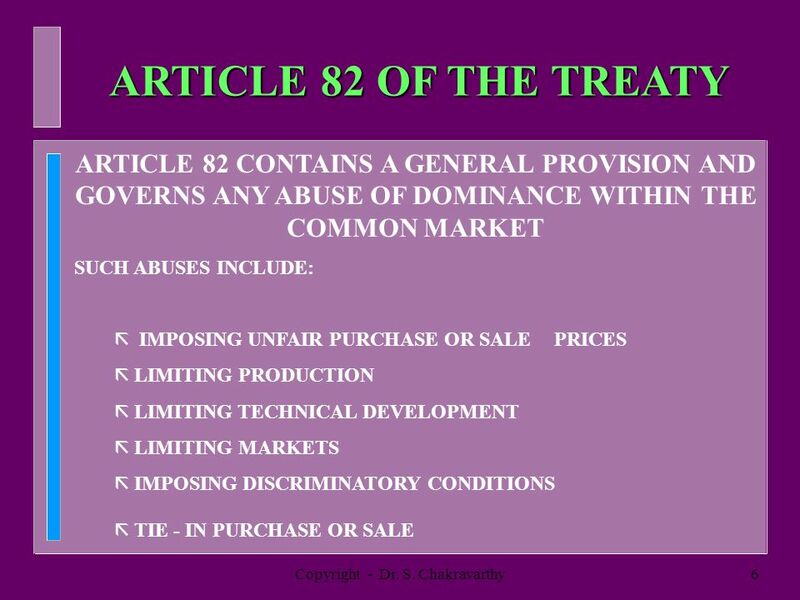 1 S.Tronchon Legal Considerations when drafting a standard. 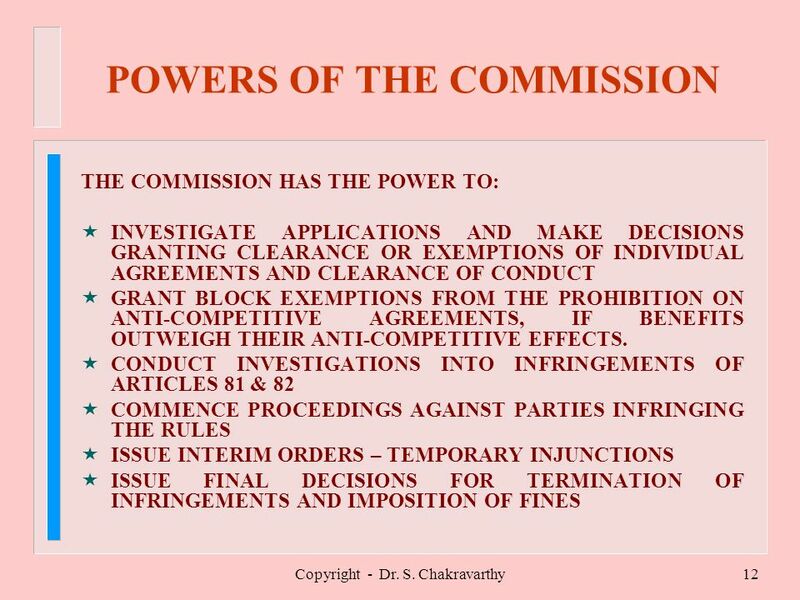 LUMSA – International Commercial Law COMPETITION LAW – GENERAL PRINCIPLES Competition law is law that promotes or seeks to maintain market competition. 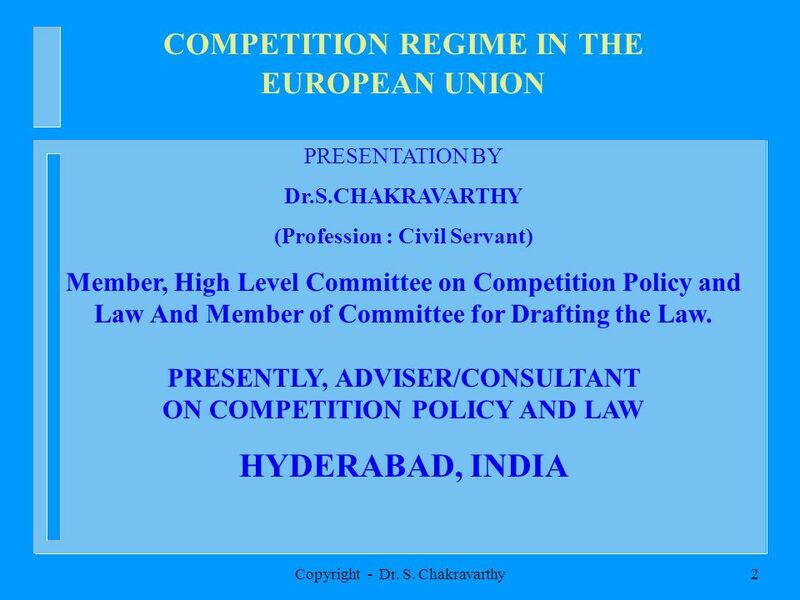 Competition Policy in India: an Overview Pankaj Jain Faculty : Lovely Professional University.